By going Metro instead of driving each day, you’re eliminating about half a ton of CO2 per year. That’s awesome, and you’re awesome. And now you can tell the world you’re part of the movement to fight climate change with items from our new Earth Day collection, available only at the Metro Shop. 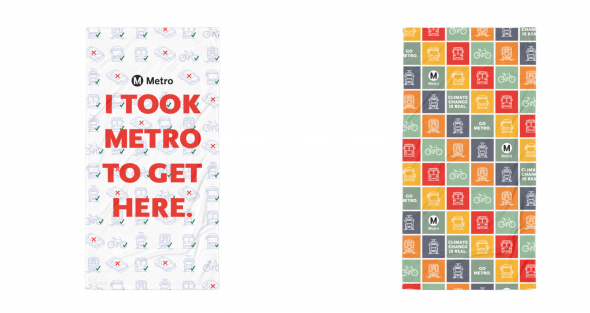 Order now and receive your items before Earth Day so can you proudly wear them as you walk, bike or Go Metro — and don’t forget, rides on both Metro Bus, Rail and Bike Share are FREE on April 22. 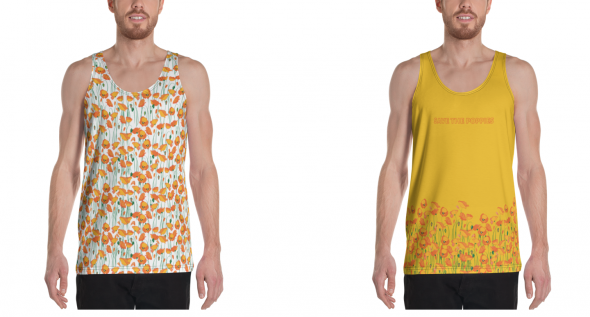 Golden poppy tank tops. Celebrate California’s state flower and remind folks of the steps we need to take to make sure the super blooms keep blooming! 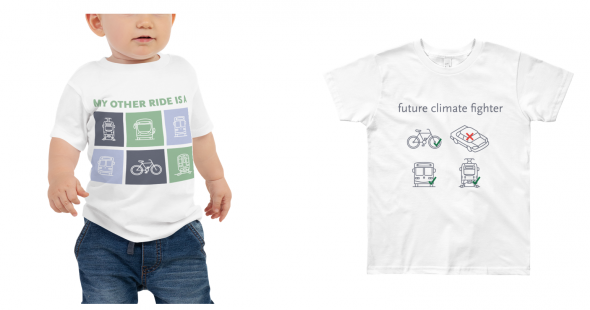 T-shirts for your future climate fighter. Everything you do now will help ensure they have a future worth fighting for! ‘Climate change is real’ beach towels. As the weather warms up, so does our desire to head to the water. But if we want to prevent the further warming of our oceans, we’ll all need to drive a little less. Browse the rest of the collection here. BTW, the most earth friendly thing to do is to wear one’s clothes until no longer serviceable, then donate them to a charity that will sell them to textile recyclers. Why are all the good tagline shirts only available in kid or baby sizes? Then the only adult versions are crop tops, bras, and muscle tanks? Thanks for the feedback! If you have a specific tagline shirt you’d like to call out, I’ll be sure to share it with our design team for consideration when we add to the catalogue.